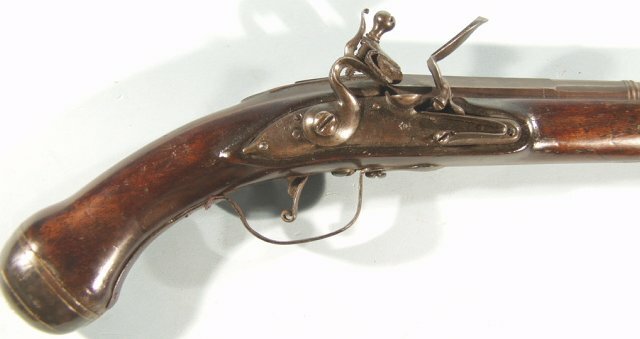 QUEEN ANNE MARTIAL FLINTLOCK PISTOL BY C. DYMOND. 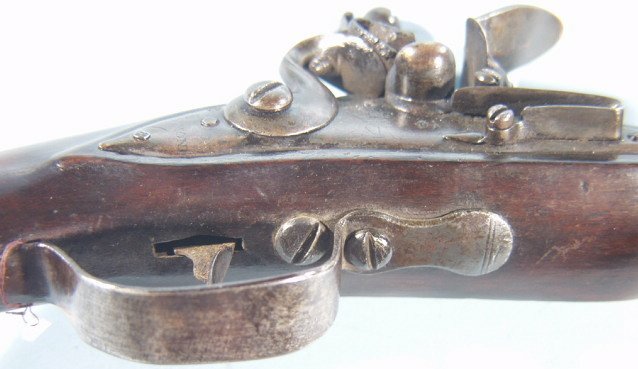 .60 caliber 14" octagonal -round barrel with London Company of Gunmakers double proofs and an identical barrel maker's proof at the left breech. 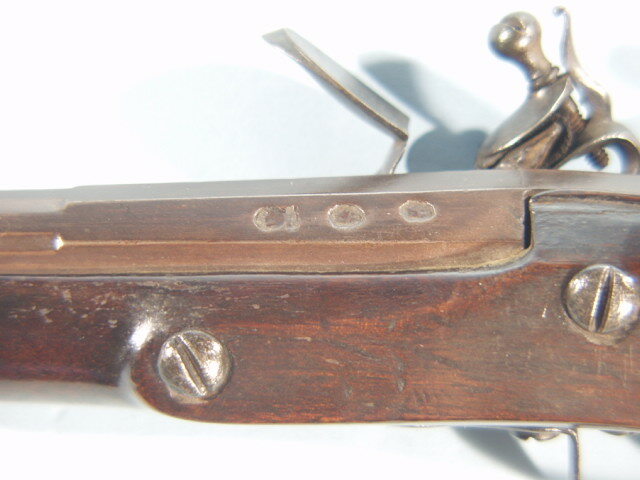 Lock stamped "Crown/AR" forward of hammer and "Crown/ Broad Arrow" beneath pan. Rear of lock marked "C. Dymond/ 6". 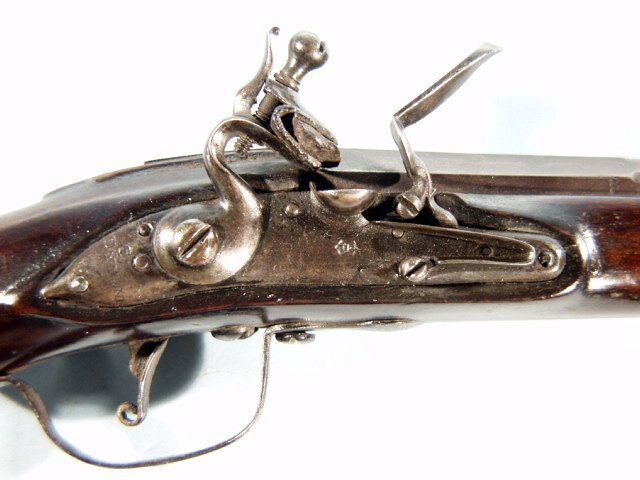 Charles Dymond was gunmaker to ordnance from 1694-1711. He is listed in Blackmore as later working for the East India Co.